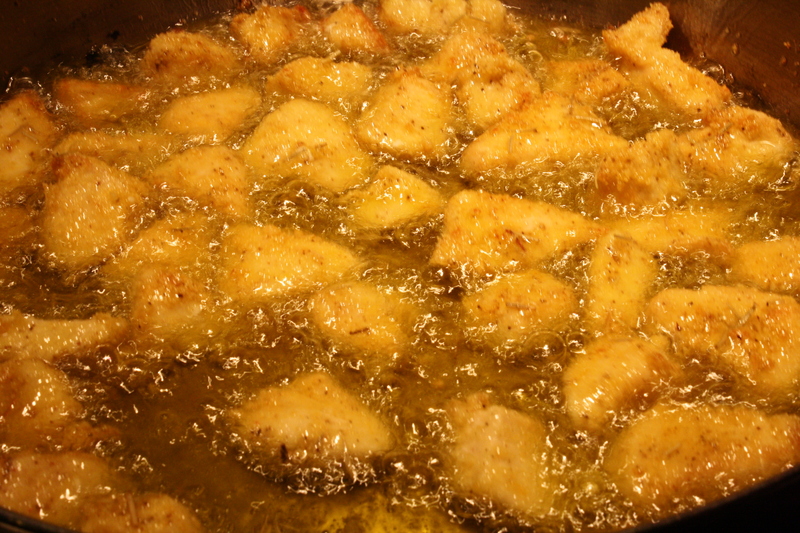 Heat 1/4-inch oil in a large, high-sided skillet over medium-high heat (the oil is hot enough when a pinch of cornmeal sizzles when added to the pan). Add the rosemary sprig and fry for 30 seconds until crisp. Using tongs, remove the rosemary sprig and drain on paper towels. Remove the leaves and finely chop to yield 1 tablespoon. Place the rosemary, salt, and lemon zest in a small bowl. Mix with a fork until combined. 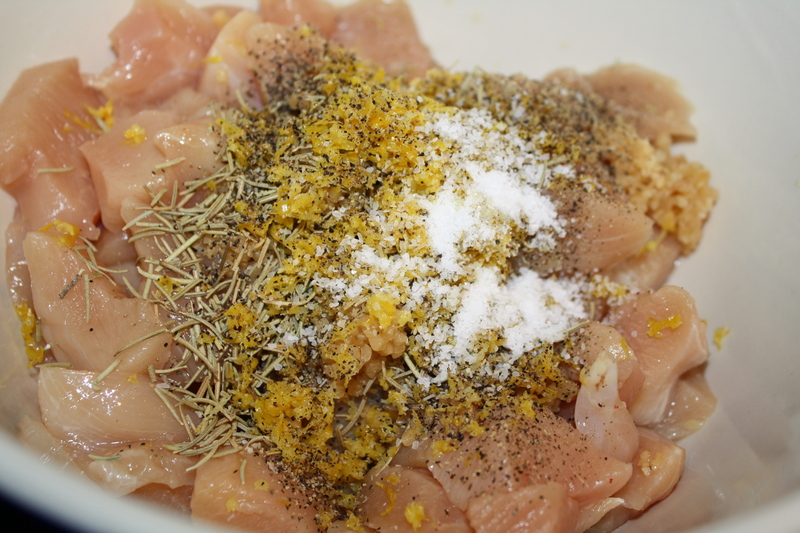 In a medium bowl, mix together the chicken, garlic, rosemary, lemon zest, salt, and pepper. 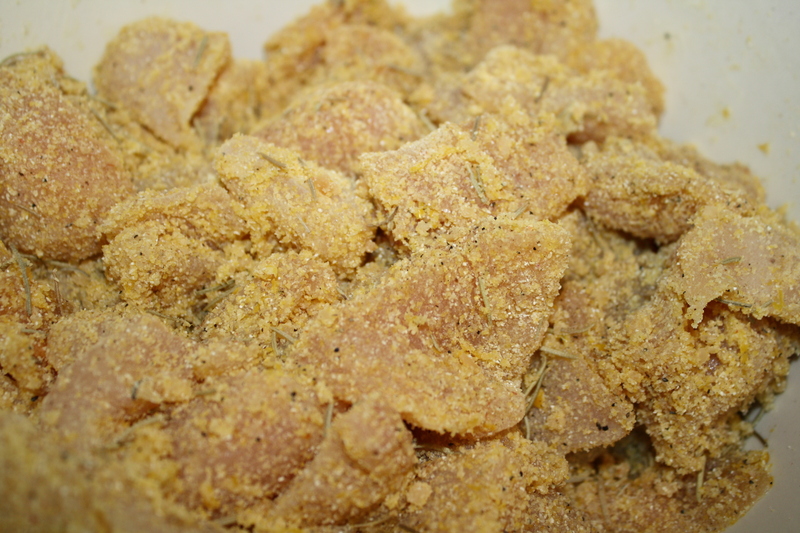 Add the cornmeal and toss until the chicken is coated. Add 1/2 the chicken to the same skillet used to cook the rosemary and fry until golden and crispy, 2 to 3 minutes on each side. Sprinkle with the rosemary-lemon salt and serve. I like Giada De Laurentiis, whose show this recipe comes from. 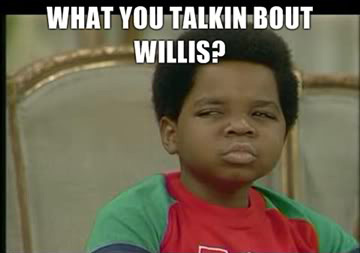 But you know one thing about her? They always cut away after she takes a bite of whatever she’s made. And she is so skinny, I always wonder if she’s really eating the food she cooks on TV. Now, this is from the Today Show, but they do the same kind of cut away on her own show too. Now, admittedly I’m no professional cook, and I had some hungry people to feed, so in the interest of saving some time, I cut out the step with frying the fresh rosemary in the vegetable oil. I just used dried rosemary, which was fine. Maybe in the end, the rosemary flavor could have been a bit stronger, but it was still delicious. 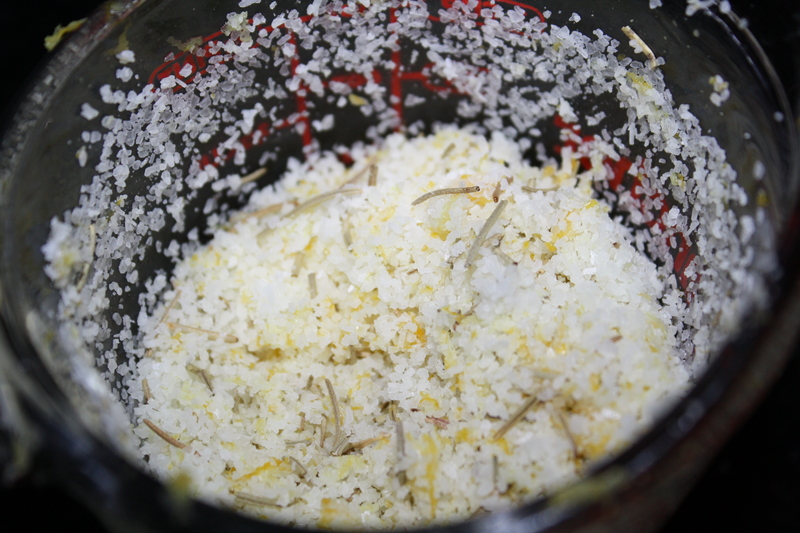 I just went ahead and mixed the kosher salt with the rosemary and lemon zest. I was making twice as much chicken, so I doubled the recipe, but I had lots and lots of the lemon-salt left over in the end. 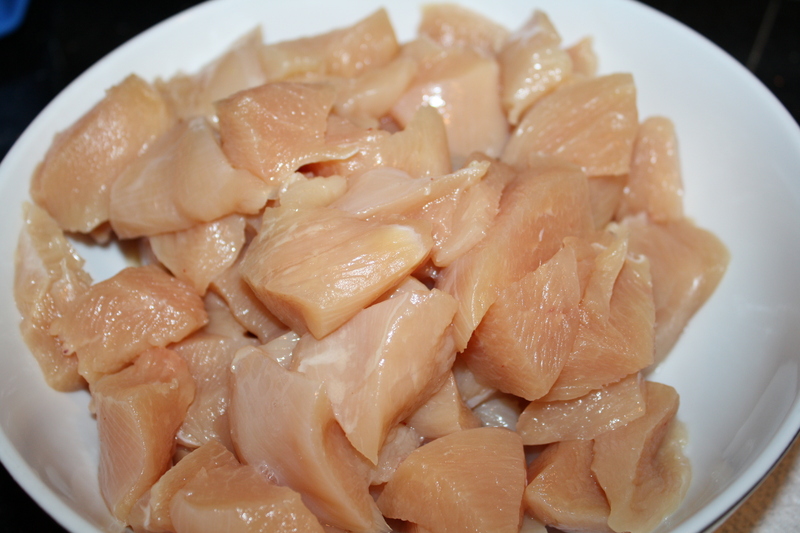 Next, I cut up the chicken breasts. 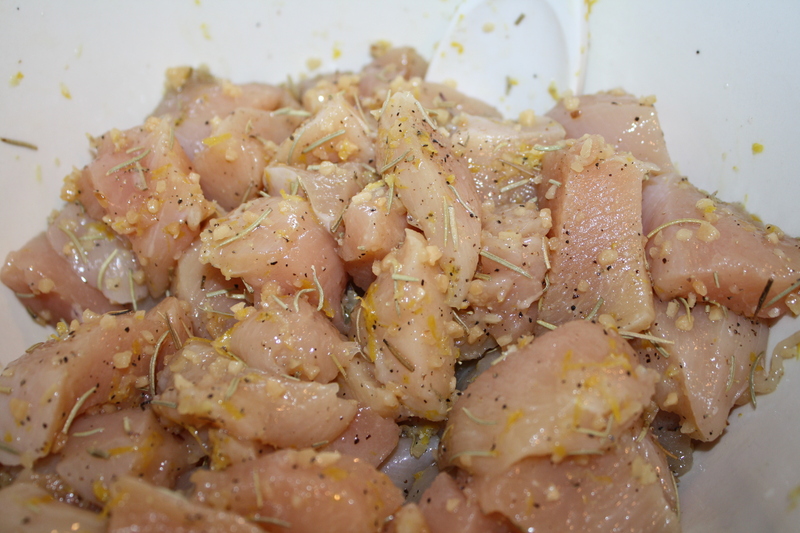 These were mixed with chopped garlic, more dried rosemary, more lemon zest, salt and pepper. Then the corn meal was added. I used cornmeal instead of polenta because a few of the reviews I read on the site said that polenta had proved to be too sticky. I don’t like to use vegetable oil, so I used olive oil instead. I just like the flavor better, but you can do it any way you prefer. I cooked mine for about three minutes on each side. After they had dried on the paper towels, I sprinkled them liberally with the lemon-rosemary-salt mixture. They were really good, but I guess because of the sprinkling process, the flavor of the salt was a little uneven. Some pieces had more salt than others, and one of my tasters complained that those pieces were too salty. 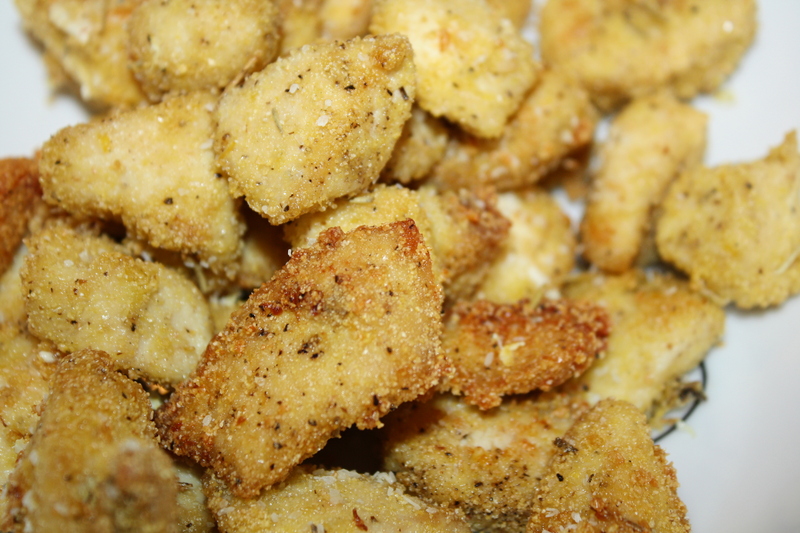 But overall, it was very easy to make and quite good; a little bit of a fancy take on the old chicken nugget idea.